Sara has a personality all of her own. Her case’s handle looks like a smile, asking me to come play. But of course, as a kid, I had to do my homework and had to avoid looking at her smile. But if I took too long to get around to playing, she would be annoyed at me. I knew that she would be angry because her keys would stick. I would have to take time to just take care of her. Sara needs care--all friendships are that way. All said, Sara was rarely moody with me. Mostly, she would console me after a hard day. 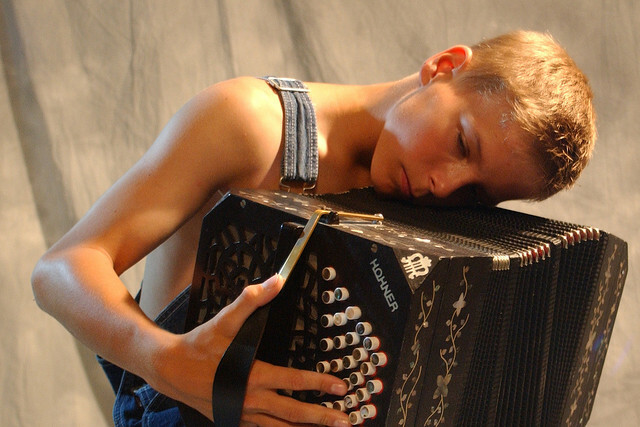 Compared to any other instrument I know, the bandoneón is truly like a person. Sara's buttons are in illogical places, like the memories we store in the random recesses of our brain. Like our words with our double meanings, every single button has a separate note--a note when she breathes out, and then a different note when expanding her lungs. Also, just like the dual personalities of private and public, the bandoneón has her left-side keyboard has for soft, intimate private tones. On the right, she speaks up in a clear-voiced melody. She has her manic side too, capable of talking as fast as anyone during the break-neck speed of the variación at the climax of a tango. The bandoneonista just needs to get out of the way and let her talk. But the most human feature that she has is that she can breathe and sigh even without making a note through her bellows. Maybe I am mad, but I feel her presence most when I just listen to her breathe. I open her smiling case and let her breathe in my embrace. Her smell is the perfume of wood, enamel and a touch of oil reinforced with years of having given me so much joy or having helped me during times of sadness. She smiles with delight as I open up her case. She leaps into my arms, ready to play a tango or vals. Sometimes she really wants to be playful, so we indulge in a milonga. Now that I think back, I am sure of it: Sara eventually started looking forward to the times I had troubles with my romantic life. That is when I made up new tangos and would play with her for hours. This ritual started when my first girlfriend, Elena, had left Montevideo to live in Buenos Aires with her parents. I was so broken hearted, but when I pulled out my bandoneón, only then I realized how bad it hurt to have my first love move away. My bandoneón was a channel to the emotions that I hid not only from the world but from myself. I embraced Sara and she consoled me. The day Elena left, I sat with my bandoneón on my lap, but I couldn’t play at first. I was numb. I just opened and closed her bellows and let her breathe with me. I felt her empathy, her soul. Tears fell on her shoulders, and I told her I was sorry that I had wept on her. Eventually a vals came out as powerful as I ever had played – Desde el Alma. This was tango. Its essence. My heart ached and now I could speak from my soul about this music that my parents so loved. Now tango was truly my music, not just my parents’. When I came down from my upstairs room, everyone looked quizzically at me as they sat at the dinner table. I thought that perhaps they all could see that I had been crying, and I felt this horrible shame of being the youngest and still just a baby. Mother took away these wild imaginations: “You have never played your bandoneón like that before,” she said. Father didn’t say a thing. 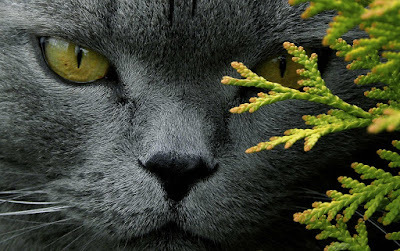 I saw his powerfully tacit pride in his eyes. He squeezed my shoulder as I sat down next to him at the table. He said so much with his eyes that words were not necessary. I knew what he was thinking: Another generation would carry on his beloved tango, the pride of Montevideo. I felt as if it were my mission now, like the keeper of the fire in ancient tribes. How is it that we forget about important moments in our lives through the distractions of daily life? When I turned seventeen, I was so busy with school and many friends that I slowly neglected my bandoneón until I nearly had forgotten her. When I was twenty-five, doing graduate work at the University, a friend told me about some Japanese tourists who would give me a pile of money for my old bandoneón. "You never play it," he said. It was Christmastime, and I wanted to get my mother a nice dress. I knew exactly what she wanted because I was with her when she tried it on, even though she knew that she could never afford it. I saw a delight in her face, and then the melancholy of having to take it off and put it back on the rack. I so wanted her to have that dress, but I it meant selling my bandoneón. What bothered me most was the thought that the Japanese tourists were only going to display her on a table somewhere, and Sara would not be played. I wrote off these sentimental anthropomorphic feelings because I so much wanted a nice gift for Mother. Finally, I justified my cold calculation, telling myself that I probably would never play it again anyway. At the last moment before I sold her, however, I decided that I would keep her smiling case. I guess that was my way of keeping a part of her and then get the money too. I don't think I would have the confidence to tell this story, except that later in life tango became something very important to me again. I started dancing tango for the first time. I felt as if everything I ever knew as a musician was still there: My feet were like my fingers, playing a duet with my partner on the dance floor. My lungs were the bellows that told my partner about the phrasing of the music we were playing together. I felt just as alive when dancing as when I had played music in my youth. Sara had internalized herself into me. My lungs were now her bellows. In the tango world, I had new friends and a new passion in my life. People at work noticed that I was a new person, with a new lease on life. Sometimes my parents would come with me to a milonga, and I was so proud of them as they danced. Later, I was lucky to have this community of friends-who-embrace when my parents died, the biggest loss of my life. I was numb. I felt as if I didn’t deserve having such great parents, and now they were gone! My two brothers and my sister were far away, but luckily I had these friends – mostly from the tango world – who would embrace me and be present with me in my grief. The solo task was left to me to go through all my parent’s belongings at their house. Every little thing was full of memories, and it was an emotional roller coaster for me. But ironically, I could not cry. It was terrible. No release. Just a dark hole. As I was boxing up things at my parents' house, I found Sara’s case in the attic. She was still smiling at me. How stupid I was to open the case thinking she would still be there! How stupid, my shock when I opened the case and she wasn’t there! She could no longer breathe in my arms! I could not play a simple melody and harmony on her. I could not console her and promise her never to neglect her again! But she was gone! Just like a drunken fool, I sobbed onto her red-velvet bedding, which seemed to intensify the smell of her haunting enamel-wood-and-oil perfume. It was a deep, pitiful sobbing at first without tears, but then all the tears of all my losses throughout my life seemed to let themselves pour out. How long it had been that I had not wept! The torrent, I guess, came from years of machismo-glue that had clogged up my tear ducts and artificially holds a man together. But Sara's spirit was helping me grieve. I cannot know where Sara is now. I only hope some little Japanese kid learns how to play her, and that she will breathe for him, console him. For now, I console myself by imagining that she sings to me whenever I hear the bandoneón as I am dancing tango. I console myself that my parents see from heaven that their beloved tango lives on only when it is danced, and that I have continued in their hope. I am carrying the tribe’s tango-fire ember. With every tango, with every tanda, Sara’s voice seems to go more and more to the core of my soul – desde el alma. Sara showed me the kind of friendship I needed in a love relationship. It took a while, but I have found her--and at Christmastime. Sara no longer is the bellows in my chest. She is embodied in my partner, who knows the real me, just the way I am. Author’s Note: This essay is fiction, but is tied to a real experience as a teenager. Here are the elements that are not true: I did not grow up in Uruguay, and I do not play the bandoneón. I never gave up my instruments. The instrument I sold was a marvelous, upright piano, and went out to play her one evening when I was alone at home, and she was no longer there. I was shocked and deeply saddened. At Christmas I bought a coat for my mom with the money from the piano. I was in Egypt when my father died, and on my way to Germany when my mom died. My siblings have stayed where we have grown up, and I have been the one who was "far away." My brother, John, not I, had the terrible job of boxing things up. The last part--feeling more like a musician through dance than playing an instrument is absolutely the truth. Finally, the shining light of hope at the end is true: I have found someone like Sara, but truly a person, my best tango partner and wife. 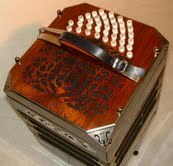 Bandoneón--instrument sale on eBay, sold long ago.